Why newborn photography is my dream job. Whilst I won’t go into the details of the painful experience of why I became a photographer, I can say that a good friend of mine, an American living in California, upon hearing about my misfortune, sent me a camera as a gift. So I started taking pictures. It didn’t take long before I started getting kinda obsessed with all things photography. This gift of a camera took my mind off all the of the other negative stuff that had been happening in my life and replaced it with such incredible gifts. You see I never ever thought I was a creative person before I picked up the camera. A whole new world was opened up to me. This is exactly how I started on the path of becoming a photographer. In the early days I to be a member of a photo sharing site called Flickr, and one day I stumbled upon an incredible photograph of a little baby. The photographer was Amber Scruggs from Little Moon Photography. I was blown away by her work and all these cute little babies posed in different positions. I knew then that this was what I wanted to do. 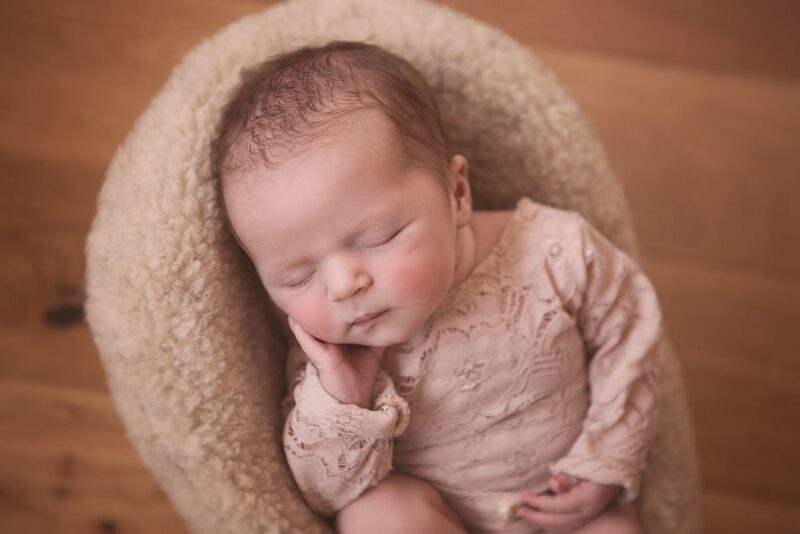 Other photographers I look for inspiration from are Kelley Ryden and her twin sister Tracey Raver who are two of the most well-respected and innovative photographers in the newborn photography industry and take the cutest image of newborns. And last but not least Lynne Harper, our very own Scottish homegrown talent based in Kilmarnock fills me with endless inspiration when looking through her beautiful website. After photographing a few newborn babies I realised that this was not going to be as it looks. Any parent knows that babies don’t co-operate, they are firmly in charge. Needless to say, my start in newborn photography was pretty nerve-racking and a bit of a disaster! Fast forward 10 years and I have the best job in the world. I love everything about newborn and family photography. I have my own studio in Glasgow. I have gained a first class honours degree in Photography. I teach photography part time at one of Glasgow’s finest colleges. I get to snuggle tiny babies daily. I love capturing the smiles when they are asleep. I experience the powerful love that exchanges Mummy and Daddy and their new little bundle of joy. I meet the best people. And last but not least I get to make people happy. If you’d like me to make you happy and would like to book a newborn, child or family photo shoot in my Glasgow studio then please contact me on 07581 561646 or via the contact page on the website. Wonderfully written and beautiful imagery. So fantastic Dawn! Love reading about your photography journey, beautiful!